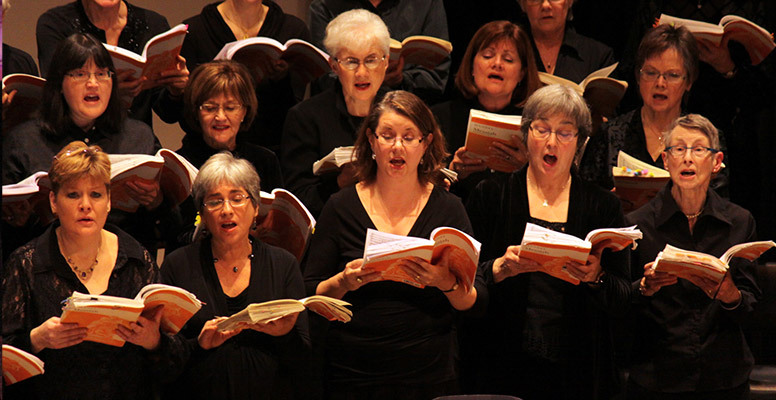 Handel’s Messiah is one of the most performed pieces of classical music in history. For many of us here in Nova Scotia, it’s an annual spectacle that ushers in the holidays like nothing else. Every Christmas, the Symphony Nova Scotia Chorus joins forces with the orchestra to bring all the beauty and joy of Messiah to life. Every member of the chorus has dedicated years to individual practice, rehearsal, and choral performance. 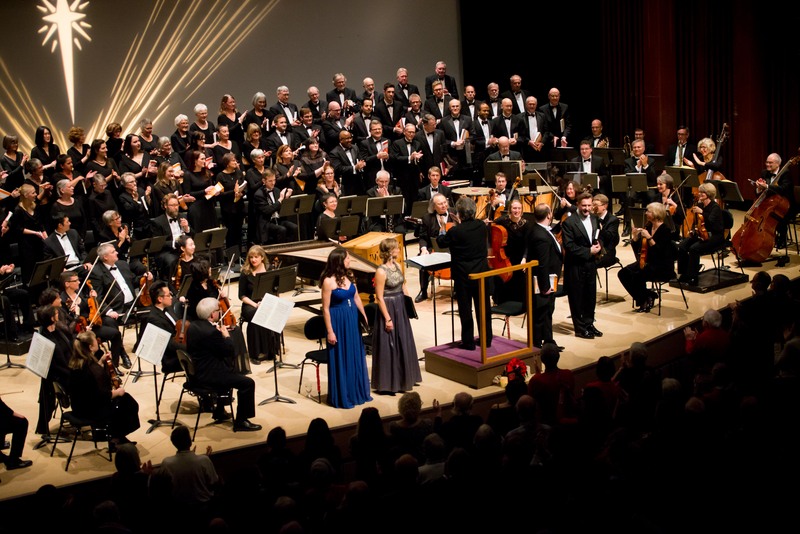 The group of 80 strong unite their full voices and individual passions on the stage, and it’s a profound love of music and singing that culminates every year in the Messiah concerts. 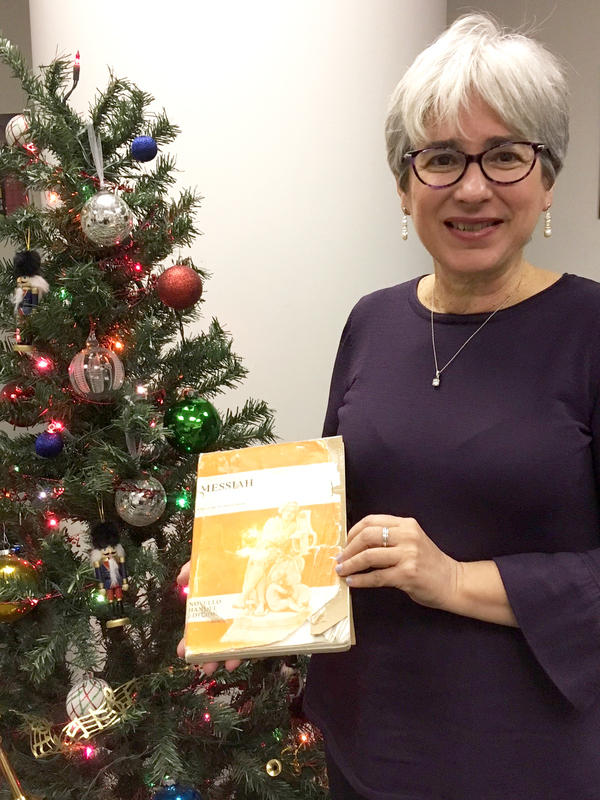 her time-worn score of Messiah is evidence of a treasured Christmas tradition. Kathy recently shared her thoughts on performing and nurturing a love of music and choral singing. “This is why I love to sing,” says Kathy. “It’s an activity that engages your brain, your body – especially breathing – and your emotions. When you are singing, it is hard to remember that you are stressed or anxious. You are busy creating an experience with other people. It helps you to understand that you are not alone in the world. That music became a part of Kathy’s childhood growing up in Kitchener-Waterloo. Her mother sang Messiah there for years with Walter Kemp’s choir. She remembers tagging along with her mother and sitting with a book through the rehearsals. Kathy tells us she settled in Halifax and raised a family. Since then, she joined the Symphony Nova Scotia Chorus, and has continued to spend countless hours rehearsing and performing with her much-loved Messiah score. “The best part of performing the music is being inside of the sound, and every time you do it – no matter how many times you do it – it’s a different piece of music. The conductors are different and the soloists are different. I’ve had some truly amazing experiences. “I remember the performance in 2010. It was not a typical Messiah. The conductor, Noel Edison, wore a red jacket and that was the most blood-thirsty Messiah I have ever heard; short and fast, unbelievable tempos. “Some of the soloists were truly remarkable. Reggie Mobley, the counter tenor – I’ll never forget him! It’s during the dress rehearsal that we hear the guest soloists for the first time. They are there in their street clothes, singing at half voice, just to make sure the entrances and the cues are correct. They’re normally singing out to the empty hall at the Cohn. Well, Reggie turned around during the most moving alto solos and he sang to the choir. This was an enormous gift. I remember him singing ‘he was despised and rejected’ and it was just the most breathtaking moment. It was a very tearful moment – just so special. “Brett Polegato was another amazing soloist. That was in 2013, and his performance was a jaw-dropper! Right after he finished ‘The trumpet shall sound’, there was a standing ovation. Normally people don’t even clap between movements, but this time literally everything came to a dead halt. Of course, with Richard [Simoneau] playing his trumpet, that was, again, another mind-boggling experience. Such conviction! When Brett sang ‘And we shall be changed’, we knew we were going to be changed at the end of that. It was amazing! “A year after that, in 2014, we had Jordan de Souza. He was the youngest conductor – not even 30. That was the most joyful Messiah I have ever sung.